The Legal Aid Society is excited to participate as an Official Charity Partner in the 2018 TCS New York City Marathon on November 4, 2018. Join us for a unique 26.1-mile tour of the Big Apple benefiting our Civil Practice. When you run for Team LAS, you join a long list of New Yorkers united by a shared belief in equal access to justice. When you support Team LAS, you help continue the legacy of Team LAS, changing lives one mile at a time. 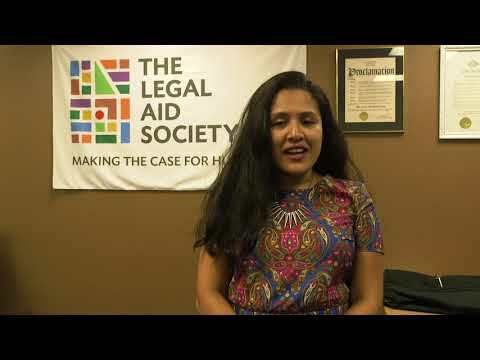 The Legal Aid Society’s Civil Practice improves the lives of low-income New Yorkers who struggle daily to buy food, pay rent, achieve or maintain self-sufficiency, and keep themselves and their children healthy and safe. With 22 specialized legal units and neighborhood and court-based offices, the Civil Practice is able to address a broad range of legal problems, including those involving: disability-related assistance; public assistance; Supplemental Nutrition Assistance Program (SNAP) benefits; health law; HIV/AIDS and chronic diseases; elder law; housing, homelessness prevention, and foreclosure prevention; family law and domestic violence; employment issues faced by low-wage workers; tax law for low-income workers; consumer law; education law; immigration law; and community development legal assistance. During the past fiscal year, we provided individual direct civil legal assistance in over 47,500 individual cases and legal matters, which benefited nearly 126,000 low-income children and adults. I want to join this team and agree to raise a minimum of $3500 by November 30, 2018.